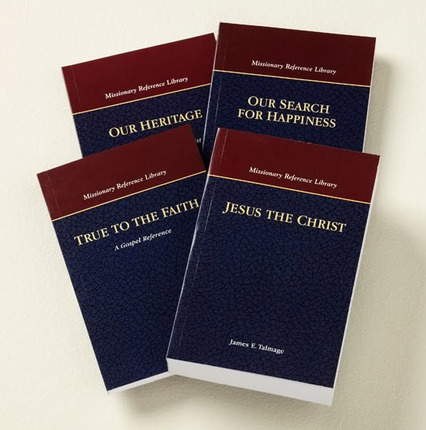 This four-volume set includes Our Search for Happiness by Elder M. Russell Ballard, Jesus the Christ by Elder James E. Talmage, True to the Faith, and Our Heritage. The missionary reference library is intended to aid full-time missionaries in strengthening their testimonies and increasing their knowledge of the restored gospel of Jesus Christ and in preparing to teach. This special edition of these four books can be purchased only as a set. 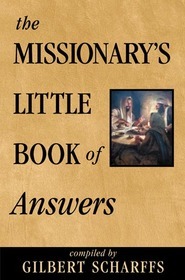 this a great set of books which is very helpful for the missionaries, how much will it cost if the missionaries will buy it at the provo MTC? thanks. I was so sad that A Marvelous Work and a Wonder was taken out of that. Except for The Book of Mormon, that book prepared me for my mission more than anything. Don't get me wrong, all of the above books are inspired and great tools in the hands of our young missionaries, but I think Elder Richard's masterpiece would complete it more. A must have for anyone these books really helped me understand the church better! I love the set. This is a must for anyone(not only future missionaries) trying to gain a stronger testimony. You will find your love for the gospel florish as you read just the first few pages.